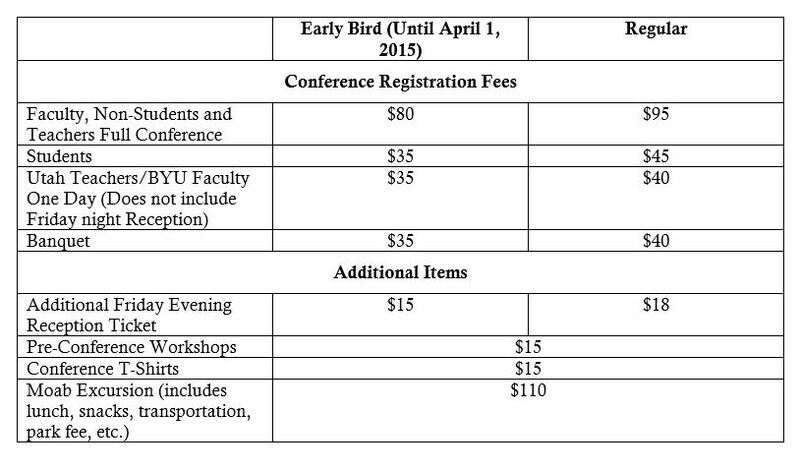 Registration is now open according to the fee schedule below. To register, click on the button below. There are two pages to the registration selection process. After selecting your participation type on the first page, you will be directed to another page to select any additional items you would like to purchase, including a banquet ticket (not included in the registration fee), an additional ticket for the Friday evening reception (for spouses/partners) and pre-conference workshops and the post-conference excursion to Moab.